Families and groups have more than enough room onboard with a spacious cockpit and cabins. A new three-cabin version of the sporty Jeanneau 38, this yacht combines fast and easy shorthanded sailing with space for up to eight sailors. 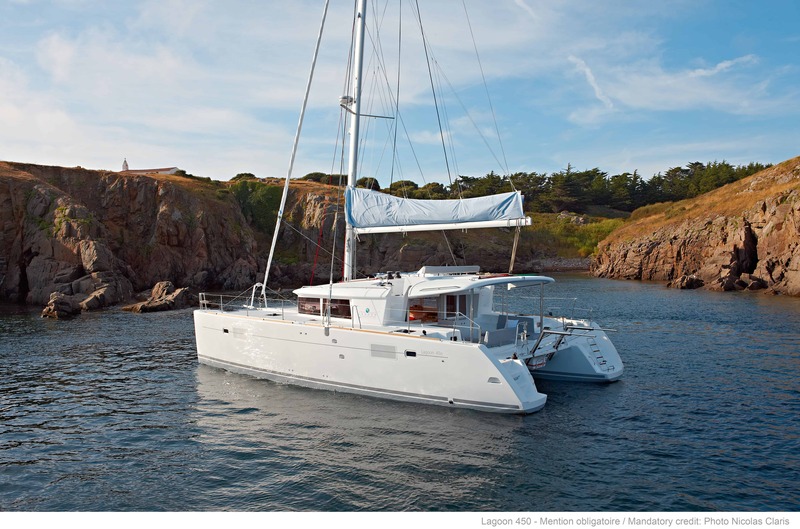 Emphasizing comfort and functionality, this 12-meter Jeanneau is both stable and spacious. A true cruiser’s dream, the new 38 has a chined hull for improved upwind performance. A spacious twin helm cockpit, with great control line layout and a light, airy interior make this yacht a favorite. The Leopard 45 represents astute value, elegant lines and will satisfy your blue water passion. 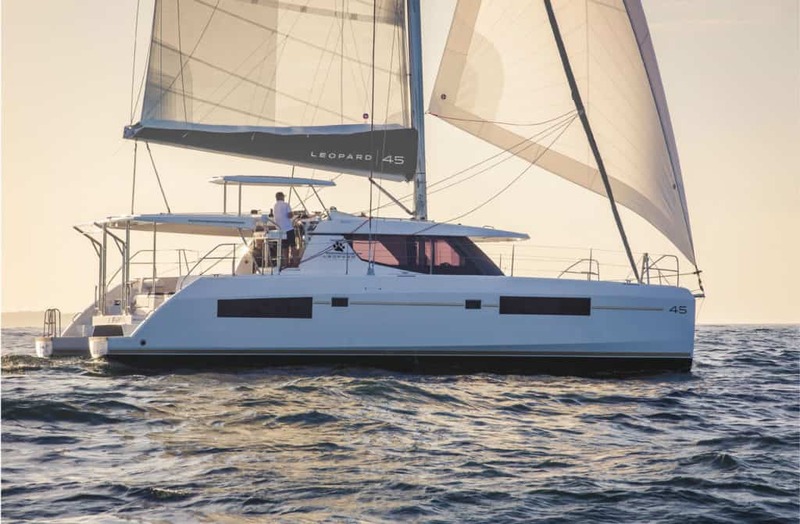 As a successor to the ever popular 44 and true to the Leopard pedigree, the Leopard 45 emphasizes functional open spaces and ease of handling while building on design features that have become standard on the modern cruising catamarans. Call us at 1-855-907-9046 for pricing and information on our Ownership Program. The Nautitech Open 40 is innovative, modern, fast and powerful. The design aims to redefine the use of space in a cruising catamaran. This boat is very versatile, combining speed, comfort and ease of handling. Great reviews support the manufacturers claims. The yacht features two well protected helm stations with good visibility and amazing sail sensations. Timeless styling, great performance and use of space make this boat a joy to be aboard! 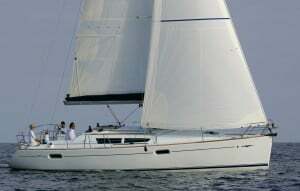 The Lagoon 450 is currently one of the most popular yachts in charter. Likely because it offers the perfect balance between size, price and performance. The interior volume is amazing and offers features not normally found on sailboats like side access to beds, electric toilets with separate ensuite shower for each of 4 staterooms. AC, generator, audio / visual entertainment systems and more. On deck you can spend your time in either the enormous cockpit, or on the flybridge seats or sun beds with a grand 360 degree view of the surroundings. 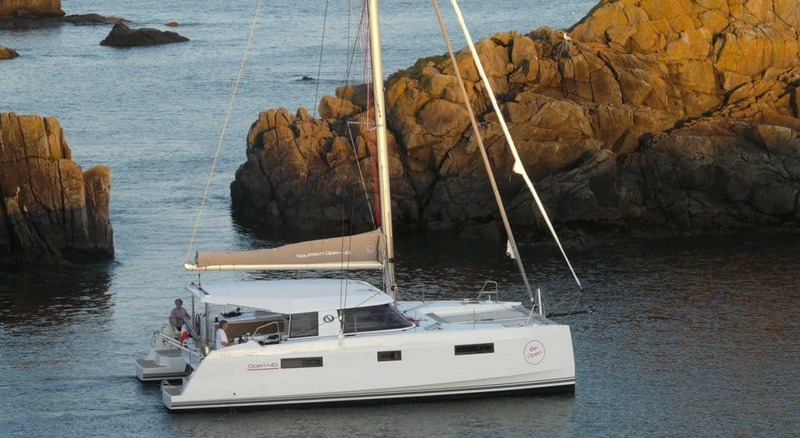 This catamaran also boasts a front cockpit with sofa and adjacent trampoline. It just never gets crowded on this boat while she sails along at over 8 knots. Up to 10 guests will enjoy the great performance and hotel comfort anywhere you take her.